54 Years of Riding & Brotherhood! Empire City Motorcycle Club, Inc. of New York City, was founded by a group of twelve motorcycle riders in October, 1964 as a motorcycle owner/rider club. 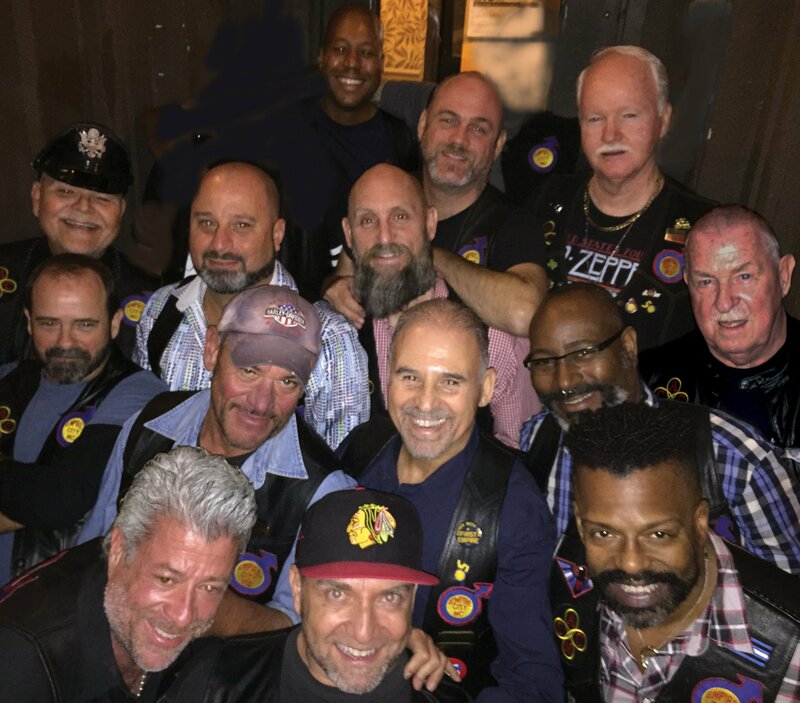 We are the oldest ongoing gay all riding organisation in the country and a vital part of the gay community in New York metropolitan area. 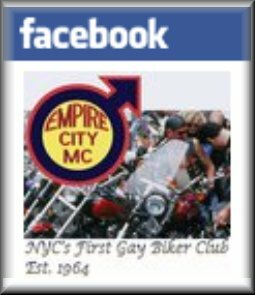 Empire City MC's open general meetings are held 8pm-9pm on the first Wednesday of each month* at "The Centre" 208 W 13th St. Check the activity sheet at the front desk to see which room we will be in. All interested men and prospective members are welcome to attend. *Always check our calendar in event of inclement weather or public holiday. With the help of many friends and the dedication of ECMC members, we’re excited to announce another great Memorial Day Weekend riding experience including some meals, accommodations and more! Won’t you join ECMC for Motorcycle Weekend? Friday, 24th May ........ Ride with us to “The Ranch” in Hemlock, NY through the scenic Hudson Valley Region and the Southern Tier of New York State with multiple breaks/pick-up points. Saturday, 25th May ...... Explore upstate New York’s Finger Lakes region! Sunday, 26th May ........ Explore upstate New York’s Finger Lakes region! Monday, 27th May ........ Ride with us back to New York City. In order to best prepare and accommodate everyone, we ask that you carefully review the ride as outlined and submit your completed application with $40/per person run fee to Empire City MC before 19th May, 2019. Space is strictly limited to 20 bikers/buddies! This is a motorcycle only event! No four-wheeled vehicles are allowed! We understand there are riders from all over that would like to participate in this event without having to enter New York City; therefore, we have several meet-up points and times specified in the map on page two. Included for your $40 run fee are: Accommodations at The Ranch, three dinners and three breakfasts, open bar all weekend at The Ranch. Each person must complete this form and send it in. Download our RUN APPLICAITON for more details. You may REGISTER ONLINE at this time as well! Wed 3rd April 20:00 – 21:00: Empire City MC's Open General Meeting, held 8pm-9pm on the first Wednesday of each month at "The Centre" 208 W 13th St, New York, NY 10011. All interested men and prospective members are welcome to attend. Always check with the front desk/schedule to see which room we're booked into. Sun 28th April: RIDE: Hogs 4 Hope. See: www.rmh-newyork.org/events/hog-for-hope for details. Wed 1st May 20:00 – 21:00: Empire City MC's Open General Meeting, held 8pm-9pm on the first Wednesday of each month at "The Centre" 208 W 13th St, New York, NY 10011. All interested men and prospective members are welcome to attend. Always check with the front desk/schedule to see which room we're booked into. 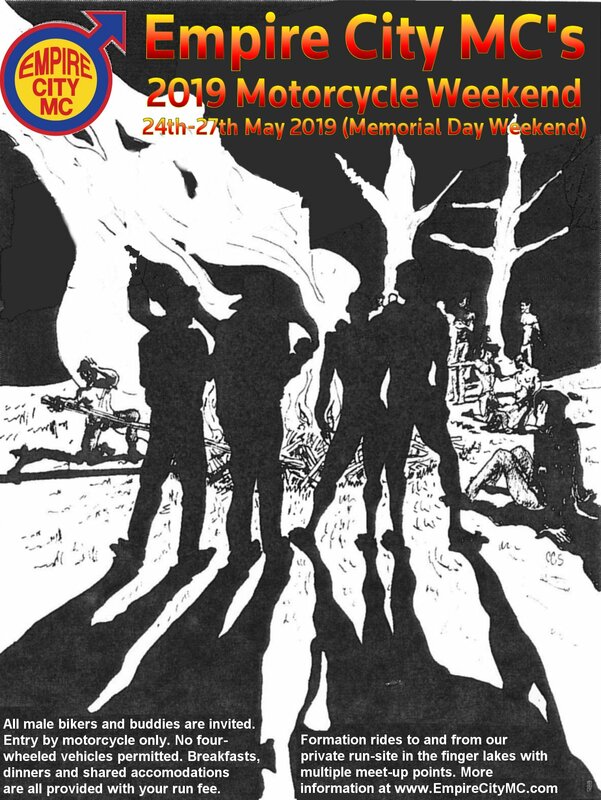 Fri 24th – Mon 27th May: RIDE: Empire City MC’s 8th Annual Motorcycle Weekend in the finger lakes! Wed 5th June 20:00 – 21:00: Empire City MC's Open General Meeting, held 8pm-9pm on the first Wednesday of each month at "The Centre" 208 W 13th St, New York, NY 10011. All interested men and prospective members are welcome to attend. Always check with the front desk/schedule to see which room we're booked into. Fri 16th – Mon 19th August: RIDE: Montréal Gay Pride Weekend! Fri 11th – Mon 14th October: EVENT: Empire City MC’s 55th Anniversary In-Town Run and Dinner Cruise! REMEMBER: There are plenty of other events and rides added to our official calendar on a regular basis, especially day rides! Bookmark our official calendar at calendar.EmpireCityMC.com and come along with us on some great rides! Union Mag (United Kingdom) came across the Atlantic to interview Empire City MC! Watch their view interview in the box above or by clicking here. Visit Union Mag's website at: "UnionMag.co.uk"
Watch episode two of Kiwi Callahan's "Where I Don't Belong" in the box above or by clicking here. "Where I Don't Belong" is a documentary series dedicated to smashing stereotypes and obliterating "old wives' tales". In episode two, Kiwi gets an exclusive look into the history and inner workings of Empire City Motorcycle Club. This is an exciting project for everyone involved, as we've has never opened our doors to a journalist at this level ever before. ECMC featured in OUT! Magazine! Click on 'Evil' Ed's bulge to see the article and photo spread! To see a full-screen, monthly Rides & Events Calendar, click here. Websites are so "one directional"... Join the conversation on our facebook groups! 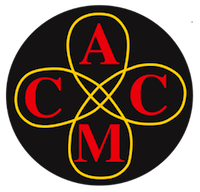 Both ECMC and AMCC have them -- click on the logos to get there. We are also pleased to publish a monthly newsletter full of all sorts of gossip... er, news and information! There are loads of photos and only a few big words, so even us bikers can enjoy it! We only send about one e-mail per month and you can unsubscribe at any time. Empire City Motorycle Club.® All rights reserved.